Can you believe that the spring is almost over and we are about to greet the summer of 2018? The bad part is that the year is going by way too quickly; the good part is that the upcoming season is primed for dancing, since it will be filled with outdoor festivals, longer day hours, vacations, and so forth. The music below is the best of what got to our desk during May 2018. It is good and ready for you to wave/dance good bye to spring and hello to summer. 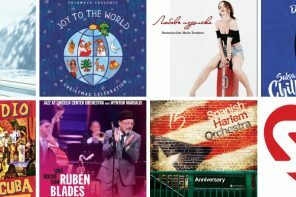 Give it a listen, pick your favorites, and remember to support the artists by purchasing one… or all! This is a great first album by Canadian group Lengaïa. The group was formed in Montreal in 2012 by trombonist Giany Huyghues-Despointes, from French Guyana, and includes 12 musicians from various parts of the world. The work offers nine original songs, forceful and energetic with the sound of three trombones and a sax. Colombian sonero Juan Mateo Barrera sings, with a fabulous tone that reminds us of some of the most classic voices of Salsa. These songs will be a treat for your dancing feet and you’ll want to add them to your playlists. Check them out on Amazon.com. 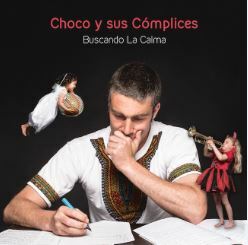 Percussionist and arranger Eric Durrer, from Luxemburg, presents BUSCANDO LA CALMA [Searching for Calm], which was recorded in Holland and offers mostly original music by his own hand. There are several songs in this release that dancers should love, including “Timba Que Tumba,” “Nina Tu,” (a song Durrer wrote for his daughter and that includes a youth choir), and the title song, which is an energetic timba. “Freedom!90,” original of George Michael, adds timba and soul to the popular song. “No Se Por Que” starts as a bolero that later turns into a cha-cha. The album also includes a charanga entitled “Las Charangueras.” You can listen and purchase the songs on Amazon.com. 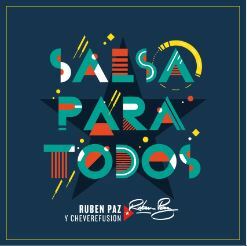 SALSA PARA TODOS [Salsa for everyone] is a release by Cuban saxophonist, composer, and arranger Ruben Paz. This album has 12 original numbers, all by Paz except one written by Hanoi Padron. The album has not been released yet (you can pre-order here), but there are two singles that you can listen to and purchase right now: “Loco Por Ti,” featuring vocalist Angel Yos, and “Welcome to Marsella,” in which Isabel Ramos sings. We will let you know once the full album is released. We told you about this song last month, but we’re adding it again because the artist released the video for it recently, and it is really nice, even funny. The video shows a girl of high society hiding her boyfriend from a father that does not wanting him around, but of course, she doesn’t care. The video was filmed in Santiago de los Caballeros, in the Dominic Republic, where Manny Soundz’s family is from (he lives in New York). 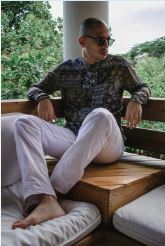 “Adivino” is a Salsa with reggaeton, denbow, and pop sounds added into it. We really like it and think you’ll enjoy the video. 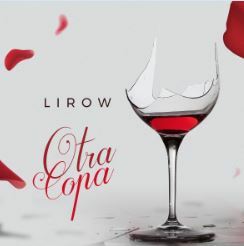 Dominican Lirow (living in the U.S.) presents his latest single entitled “Otra Copa” [Another drink], a bachata in which he talks about drowning the pain of a breakup with alcohol. “Waiter, please bring another drink, Fernet, beer, or wine for this pain. Tonight I will forget her kisses. Treason is drowned in alcohol,” goes the song, which you can listen and purchase on Amazon.com. Bori has been in the bachata scene for years. He was the guitarist for Aventura and Romeo Santos. 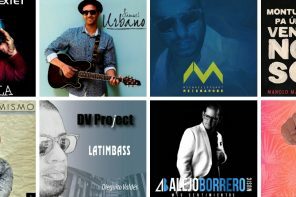 He has collaborated with Raulin Rodriguez, Alex Bueno, and many more. 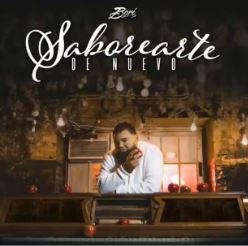 He presented himself as a soloist with the song “Basta Ya,” and now he reveals a second single – “Saborearte de Nuevo” [To taste you again]. The song talks about getting back together with a person from the past. The guitar is central in this song, and it is of course, Bori performing. Listen and purchase on Amazon.com. If you like bachata and kizomba, you’ll want to listen to this album. 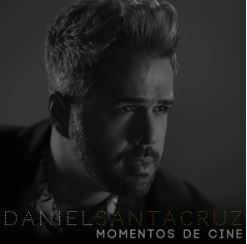 MOMENTOS DE CINE [Movie moments] offers 17 songs, most of Santacruz’s penmanship, some featuring artists like Dani J, Grupo Extra, and Marco Puma. “Ella Durmio en Mi Cama,” “Las Galeras,” “Ven a Bailar,” and “Mala” are the offered kizombas. “El Duelo” vas popularized by the Chilean group La Ley, here turned into a bachata in Santacruz’s voice. Listen and purchase on Amazon.com. 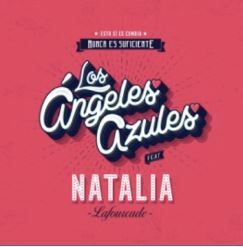 Los Angeles Azules present “Nunca Es Suficiente” [It Is Never Enough] next to Natalia Lafourcade. The song is part of the group’s next album entitled ESTO SI ES CUMBIA. “Nunca Es Suficiente” is one of Lafourcade’s greatest hits, and here the group has added the cumbia rhythm to it. The video was recorded in Puerto de Progreso, Yucatan, Mexico. 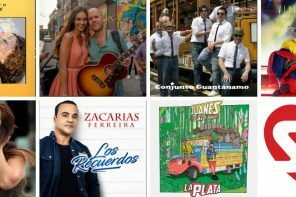 “When you fuse two different genres,” said Lafourade in Spanish, “… the mix enriches the music, renews it, makes it different, makes it special. People like it a lot.” We agree, and we do! “Jardin Prohibido” [Forbidden Garden] was first a Salsa song performed in the 90s by Dominican artist Alex Bueno. 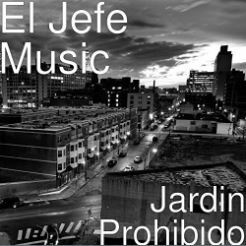 Now El Jefe Music, led by Edgar Alfonzo, presents a new version of the song adding to it cumbia and pop sounds. El Jefe Music was formed in Venezuela in 2005. Today they live in the United States, defining their style as Tropical Urban. Listen and purchase the song on Amazon.com. 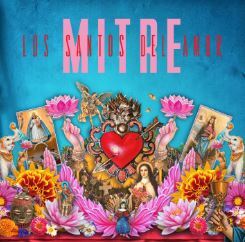 This is another fusion of cumbia, pop, and alternative, this time by Mitre, the duo composed by Mexican Luis Mitre and Andie Sandoval. “Los Santos del Amor” [The Saints of Love] talks about finding a cure for broken hearts and about securing one’s good luck by calling and offering a candle to the saints, a belief that is very much a part of Mexican culture. The video was filmed in Los Angeles. The song is part of the group’s debut and upcoming album, entitled EL CALLEJON DEL BESO. 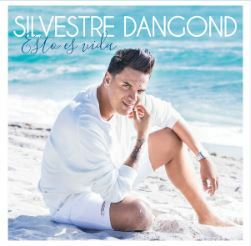 Released on the very last day of May, ESTO ES VIDA [This is life] is Silvestre Dangond’s two-year compilation of new songs offered for our enjoyment. Do you know how to dance vallenato yet? We are not exactly experts, but we’re looking into it. Vallenato is a music genre that stands on its own, with its use of the accordion, the caja, and the guacharaca, which you may or not be familiar with. Dangond goes back to the traditional sound of vallenato in this album, and it forces your body to move and somehow immediately makes you happy. Listen and purchase on Amazon.com. This song earns our best video of the month award. 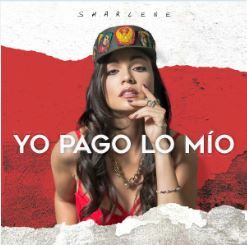 Dominican Sharlene presents a fusion of Urban, trap, and cha-cha in “Yo Pago lo Mio” [I Pay For Myself], a catchy song mixing traditional Cuban sounds with modern beats. The video was filmed in Cuba, and we love it. The message: Sharlene is not waiting for any guy to pay for her drinks! Atta girl! We don’t often hear about this type of fusion – K-Pop and Latin Pop. But that’s exactly what “Lo Siento” [I’m sorry] is – a fusion by Korean boyband Super Junior and Leslie Grace. It’s catchy, has a fun video, and has been well accepted by the South American audiences that have recently seen it live in concert so far. Check it out! A bolero with notes of bachata, “Que Me Invento” [What Can I Make Up] is Dominican singer Angela Carrasco’s first recording in a decade. Unless you are a very young Latino/a, you must remember Carrasco as one of the strongest voices of popular and romantic Latin music of the 90s. Now she comes back with this release, written by Alejandro Jaen, which is very nice and a great way to for us to enjoy her magnificent voice once again. Listen and purchase on Amazon.com. Venezuelan singer/songwriter Alfredo Matheus Diez, who is known as Matheus 10, created the song “Un Mismo Sentir” [A shared feeling], along with Arturo Cabrera Brambilla, as the oficial song for the XI South American Games in Cochabamba, Bolivia. The games started this May 26 and will continue through June 8, 2018. 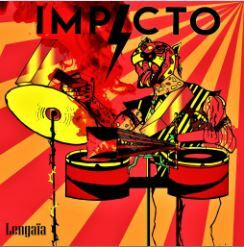 This is really a fusion of rhythms that mixes traditional sounds from the Andes, like cumbia and saya, with urban rhythms like reggaeton and electronic. 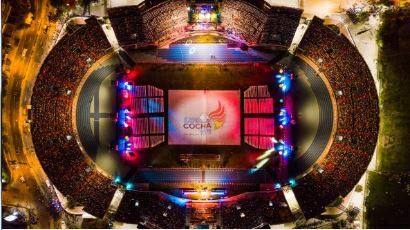 Bolivian artists Fernando Torrico, Elmer Hermosa, Vanessa Anez y Jonathan Hermosa are part of the song and are featured in its video, which also displays the Felix Capriles Stadium and the Villa Suramerica, which is currently hosting more than 4,000 athletes from the 14 countries participating. How awesome was that? Oh, and what a month June is bound to be, with so much good music to dance and so many soccer matches to watch! Here’s hoping that you’ll enjoy the month, the music, and the games. We will be back with more at the end of June. Keep on dancing like nobody is watching!